U.S. President Donald Trump his allies in the Middle East such as Saudi Arabia have been clamping down the pressure on Turkey with the ongoing trade war that has so far seen the Turkish Lira lose nearly half its value. Trump Tweeted last weekend saying, "I have just authorized a doubling of Tariffs on Steel and Aluminum with respect to Turkey as their currency, the Turkish Lira, slides rapidly downward against our very strong Dollar! Aluminum will now be 20% and Steel 50%. Our relations with Turkey are not good at this time!" Erdogan has been busy urging anyone who will listen to invest in his country, but he may have finally found his bail out. Qatar, a country that has long stood in opposition to U.S. policy and Saudi Arabian control by proxy, has decided that it will bail out the Turkish president from this nightmare. 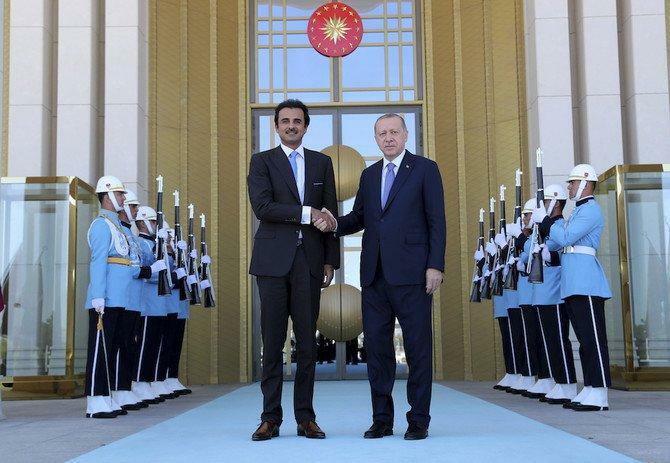 Bail-out talks are already underway in Ankara between the emir of Qatar, Sheikh Tamim bin Hamad Al-Thani, and Turkey’s President Recep Tayyip Erdogan. After the Turkish lira lost almost 40% against the dollar so far this year, Turkey has been thrust into turmoil with the nation's leader Erdogan stubbornly refusing to accept Trump's terms. "baseless." Now, it seems Erdogan may be able to hold out against Trump's demands for several months at least after Qatar pledged $15 billion worth of investment in Turkey. Dr. Hamdan Al-Shehri, a Saudi political analyst and international relations scholar said, "This is what happens when you choose to run with the hare and hunt with the hounds. The Americans have their base at Al-Udeid in Qatar so naturally, they will expect Qatar to toe their line. Qatar has gravitated toward Turkey because of the Muslim Brotherhood link and the Iranian connection so now it finds itself in an unenviable situation. If they side with Turkey, they run the risk of antagonizing US President Donald Trump. If they back the American position on Turkey tariff penalties, then they lose Turkey." There have also been reports Al-Shehri blackmailed Qatar into supporting it. "They said they came to Qatar’s support during Doha’s row with its Arab neighbors, and now it was Qatar’s turn to pay back the favor." President Trump will straighten it out. America is no longer for sale! Big shock that corrupt islamic regimes would stick together against the 'nations of unbelief'.